I know. I was just as flabbergasted as you are. Aren't they just the most perfect shoes in all of mankind? 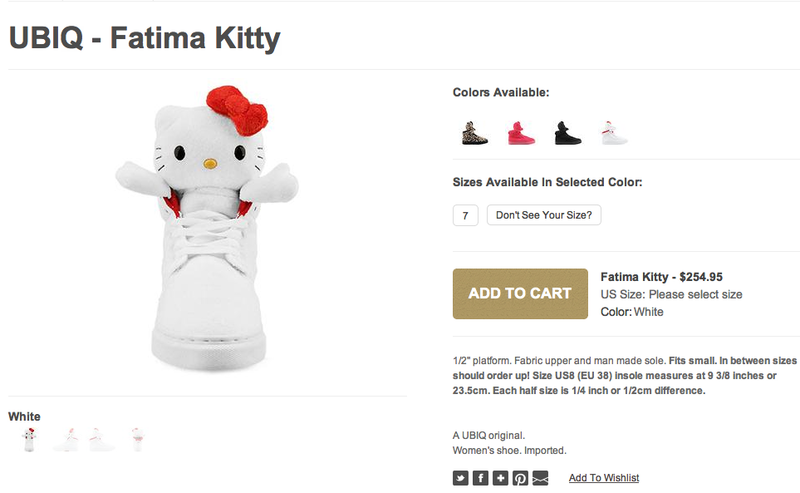 I must admit that $255 is quite a steep price for a pair of canvas shoes with Hello Kitty on them but for me, it is worth every dollar. My personal favourite at the moment is definitely the leopard. It is so edgy and unique (not that these shoes itself aren't unique enough). To be honest, I would be happy to settle for any pair of these beautiful shoes. These shoes can be purchased at Solestruck for $254.95. Solestruck offers free shipping on any shoe, anywhere in the world so that's a pretty good deal for a person from down under. If you are going to get a pair, which colour would you choose? Also gollow my blog with Bloglovin!! $253 thats crazy! haha, the white ones are cool not massively sure about the lepoard print! wow I really love the first one! OH MY GOD. THESE ARE AMAZING.